Where do single socks go? A Sock King! As opposed to a Rat King, this rare phenomenon is a good omen, promising a nice harvest of baby socks the following spring. The parent socks, much like Salmon, die shortly after releasing their woolly spawn. 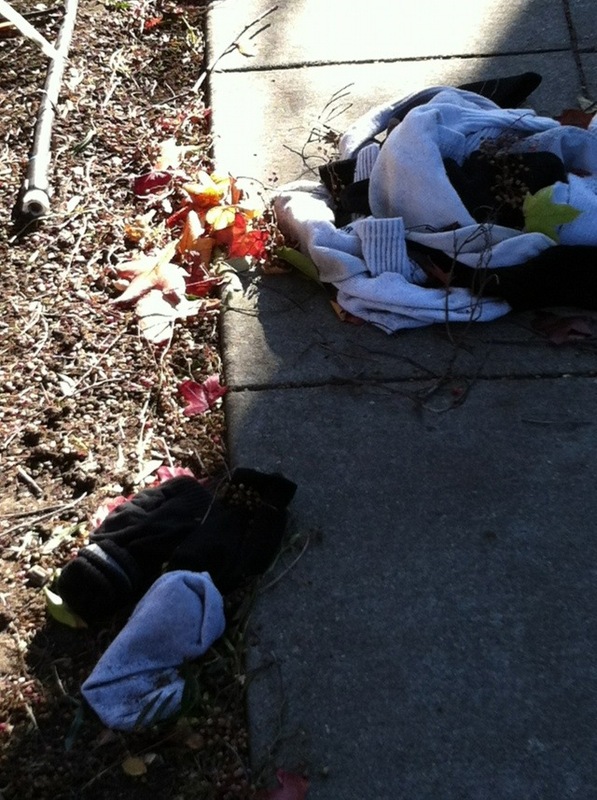 One question remains: What to do with the single socks left behind in your drawer? Personally, I put them in an open box on the bottom of my closet and encourage them to leave and procreate. And at least some of them do. I run into their mates weeks after they had tried to sneak away – hiding behind sofas or in pillowcases – but then, when trying to reunite the pair, I find the other one gone from the box (I’m sure this has happened to you, too). Gone – I now know – to join a Sock King! Richtig unheimlich ist das alles.